T he fame of Indian Spices is older than the recorded history its more than 7000 years old. It was the lure of these spices that brought many seafarers to the shores of India. It is also said that Indian Spices and her famed products were the main lure for crusaders and expeditions to the East. They were once a royal luxury and men were willing to risk their lives in quest of them. Coriander, Cumin, Ginger, Pepper, Turmeric which make up a base of south Indian dishes were spread throughout the world as curry powder. The people of those times used spices, as we do today to enhance or vary the flavor of food. Spices and aromatics are the very heart of India Cooking. They have been used since anci. They were mentioned in the ancient scriptures called the vedas. India as the Queen of Spices has always been the attraction for its exotic combination of spices. It has worked as a magnet to attract the world. At Flowers, leaves, roots, barks, seeds and bulbs - the simplest of natural ingredients are used in combination to produce variety of flavors & aroma. In a clean, safe and green environment of Pune our unit is established with an aim of providing pure, fresh & hygienic products. Bangar B. T. Group is among the fastest growing spices manufacturing & exporting companies in India. Bangar B. T. Group was founded by Mr. Bangar B. T. with its Spice Brand "BANGAR". At Bangar Spices emphasis is kept on the Quality of the products as we believe in the philosophy "Customers are pleased by Quality and not the Quantity". Quality should be a habit and not an act. As we believe that Quality has to be caused, not controlled. As making blends of spices is not just a business for us its a passion of making food tasty. We have variety of products with a perfect combination and blend of spices to enhance the taste and aroma of the food to be cooked. 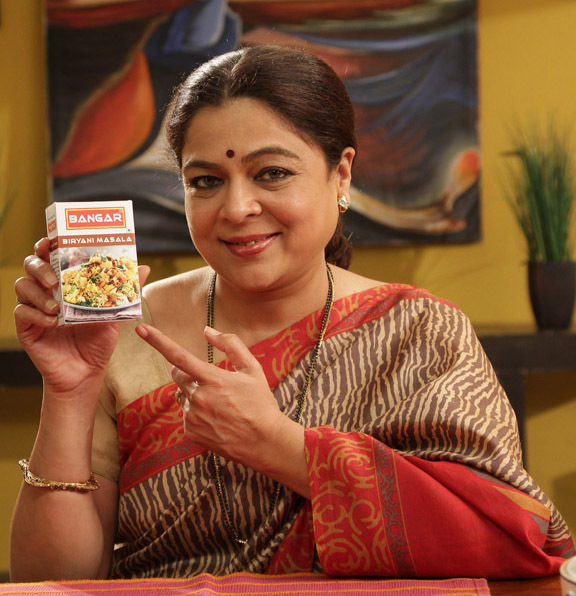 BANGAR Garam Masala , Chicken Masala, Meat Masala, Chole Masala, Pav bhaji Masala, Sabji Masala, Sambhar Masala, have made their fix place in the kitchen’s shelf along with Kanda lasun Masala which is commonly used in most parts of Maharashtra and is loved by housewives. Also we have Basic Grounded spices like Turmeric, Chili, Coriander, etc. & Special products such as Jaljeera, Tea Masala, Ready Pickle Mix, Papad Masala, Papad are also in the list of favourites.